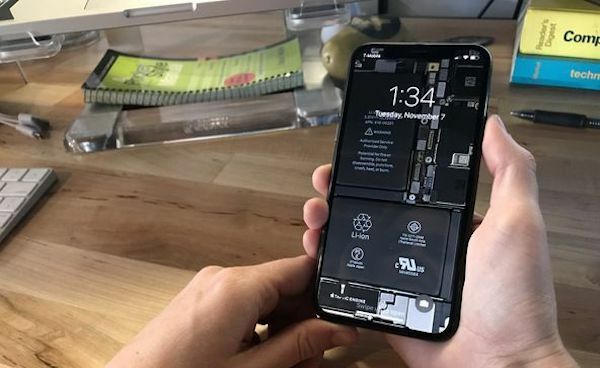 Repair firm iFixit is already legendary for its teardowns of newly released smartphones, amongst other things, and when it took an iPhone X apart for the first time we got our first look at how impressive the insides of the Apple flagship are. 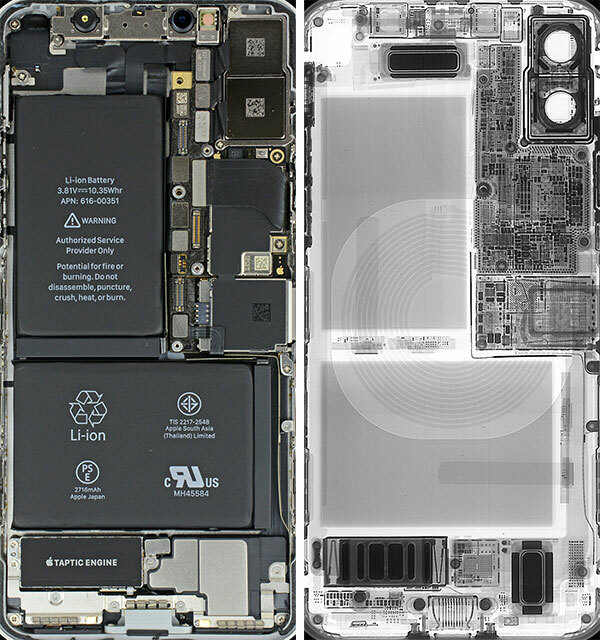 With a new L-shaped dual two-cell battery design and a logic board featuring an “unprecedented degree of miniaturization,” there is an argument to be made that the inside of an iPhone X is almost as impressive as the outside. Now, iFixit is giving us all the chance to take a peek inside our iPhone X by releasing some wallpapers that proudly display the phone’s internals. While the new wallpapers can be used on any phone, when used on an iPhone X, the smartphone’s all-screen bezel-less display help to aid the illusion that we really are looking through the iPhone’s display and into its guts. There’s also an X-ray vision version for those who want to take things to the next level, too. The folks at iFixit say that their images will work as both Still and Perspective wallpapers, but there are a couple of tips for making the most of what is on offer. For best results, navigate to this blog post on your phone. Find the image you want as your wallpaper and click on the photo for the full resolution. Then, save the image onto your phone. You can set the wallpaper from “Wallpapers” in your phone’s Settings—“Choose a New Wallpaper” lists your recent photos, including downloads. All of the wallpapers can be downloaded, for free, from the iFixit website. The firm also says that it plans to have internal wallpapers for the iPhone 8 and iPhone 8 Plus in due course. You can download the wallpapers here. Nice. Pitty, they’re not dynamic in a way. dynamic ? you want to see bits of data flowing between memory chips… ? Yeah. Sort of electric flashes here and there. Like in Tron ?